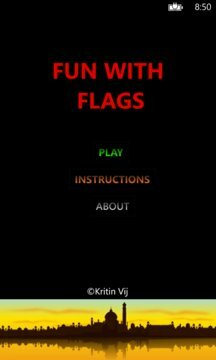 This is a fun hangman styled game for learning countries and their flags existing in the world. You can play, learn, enjoy at the same time. It is time for the vexillologists (those who study flags) to have an app they can call their own!